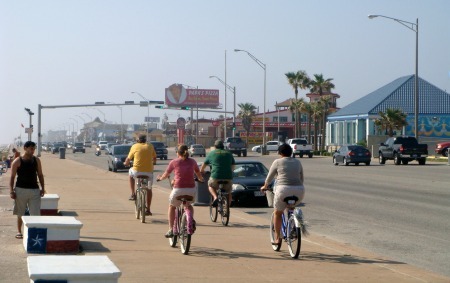 Bike rentals and Galveston Seawall. It doesn’t get any better! Bike rentals are perfect here. They are joy here! Perfect for touring the entire east end of Galveston Island. The Strand, east end historic district, silk stocking and everything in between. Concerns that follow you here are forgotten. They are replaced by the sights and sounds of Galveston. The surf, sand, history, ships, amazing birds, and fantastic homes. This island vies for your attention. It will have you day dreaming. You are going to take a break from everyday life. Spring, summer or holidays the island gets very busy. 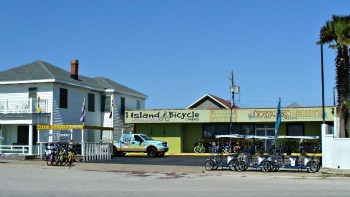 For island bike rentals, ideally, call about an hour or two before you arrive. The shop will have a bike(s) aired up and ready to roll. If you are a walk-in they tend to charge a little more per hour - like about $5.00. Besides you want to be sure to get your bike. So just call ahead. Driving down Seawall Boulevard you’ll see the bikes. 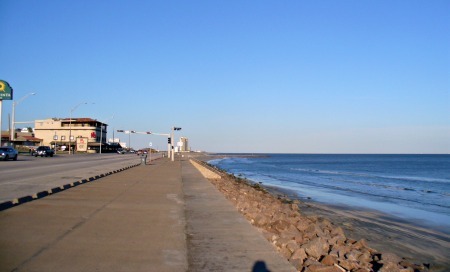 Then the seawall, the Gulf of Mexico, blue skies-you got to get a bike! When you get to the bike rentals shop you can park on the seawall. Then walk across the street and get your bike. Whats the difference in bike rentals? Do they answer the phone? Do they have a good choice of bikes? How many do they have? Does the shop offer any little perks? Island Bike Company, Goody's and EZ Rentals deliver the best all-around service. Generally cost depends: what you ride, how long you ride, and if you reserved. A two wheel bike by the hour is about $8.00 an hour, three hour rental about $5.00 an hour, the whole day about $25.00. If you are staying three days or more get a week long rental for about $60.00. You will use the bike. Mountain bikes and hybrids are popular. A hybrid is a cross between the mountain bike and a street bike. Usually the tires are the difference. Of course there are tandem bikes too. If you’re traveling with younger children a surrey is great. These are four wheeled bikes with canopies. One model of Surrey carries two adults; another model, Surrey Limo, carries four adults and three children. 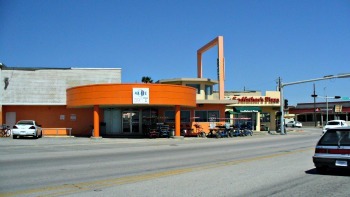 EZ Rentals has three locations. Two are west of the Pleasure Pier. 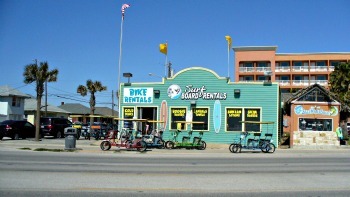 They have a large selection of bikes and some deals for extended stays on the island. This address is next to Radio Shack on Seawall BLVD. 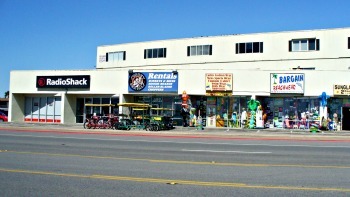 This EZ Rental is next to The Spot Restaurant. It’s a large building and sits back a little form the highway. This one is east of the Pleasure Pier, near Holiday Inn Sun Spree Resort. Bikes available: Beach cruiser, mountain bike, tandem bike, hybrid, surrey for 2 adults, limo surrey 4 adults and 3 kids. Island Bike Company has a good selection of bikes and a sweet little perk. If you keep the bike half a day they pick you up at your hotel. No hassle with parking on busy days! 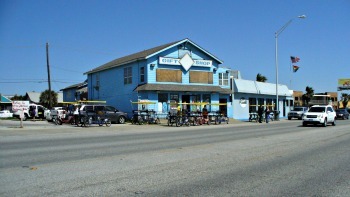 They are located east of the Pleasure Pier, near Holiday Inn Sun Spree Resort. They are just east of the Pleasure Pier. And just next to Wendy’s restaurant. The top of the building looks like a light house. It’s been years since we used them. But they have been here a while and are a popular rental. Bikes available: beach cruiser, mountain bike, hybrid, and some surreys. 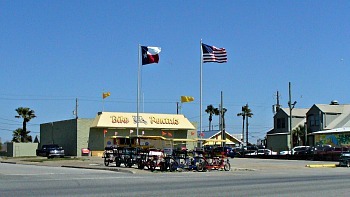 Joy Bike Rentals are west of the Pleasure Pier. 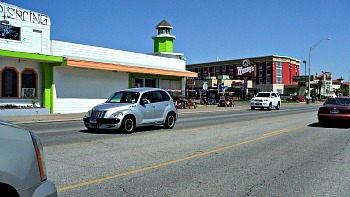 There are near the Spot restaurant. I cannot say much about them. We never used them. I don’t see a lot of bikes there. Further east on Seawall Blvd. you will come to Motel 9. They have surrey's out front for rent. Personally I’d use: Island rentals, EZ or Goody’s rental first. If it’s they are out of bikes then try the others. If you had a good experience with them let us know. We’ll be happy to tell over 3000 people a month your good news! Once you get your Bicycle Rental you’re off! After a long hot day, a favorite ride is biking to the ferry. Hitch a free ride. Breezy with sea spray! The vibrations in the ferry feel like a message. It's even a better time if you have a little picnic ready. Each side has picnic spots.What a great afternoon! I do admit I get nervous approaching the mainland. It’s a relief to turn around and get back to the island! I have one piece of advice for bicycling here. Know which way the breeze blowing! Even if it's slight! Start your ride into the breeze. On my last bike ride I was so enthusiastic. It had been snowy and in the teens for weeks in Pittsburgh. I felt so good under all that Galveston sunshine! After I got settled in, I headed east. There seemed to be the slightest breeze from the west, that’s all. Honest! I stopped a few times and it seemed about the same. I made my way to Porretto Beach, and continued to East Beach - Apffell Park. I was too optimistic. Why? If you're tired and hot the ride back into the wind for miles can get old:) Remember on Galveston it is a subtropical climate. 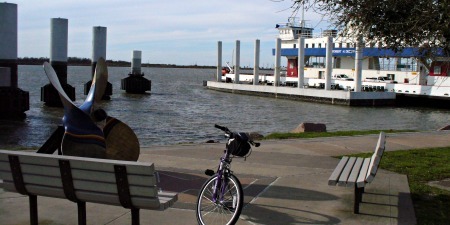 Leave Galveston Bike Rentals and return to Galveston Travel and Charm Homepage.